In order to succeed in the Battledome and win battles, you need to deal more damage to your opponent than your opponent deals to you. But what is the best way to increase your attack damage while decreasing the amount of damage you suffer? Most players understand that great weapons will help them succeed in the Battledome, but what about those numbers that appear on your pet lookup as their stats? What do they do? Do they matter? The answer is: YES! Your pet's statistics, or stats, are incredibly important in the Battledome. Luckily, it's not a mystery how they influence your performance – it's just mathematics! Let's take each statistic one by one. Hit points (HP) are necessary in order to battle. Since your goal is to get your opponent's HP to 0 before they get yours to 0, having more HP can make it harder for your opponent to win. Essentially, hit points determine the maximum amount of damage your pet can take, or the amount of damage your pet needs to attack with in order to win the game. Training can help you increase your maximum HP, and healing restores your HP up to your maximum HP. The more HP you have, the more damage you can take, and the more likely it is that you will outlast your opponent. So, for example, if a pet with 38 strength were to use a Scarab Ring, the damage that pet could inflict is 6 icons x 1.5 boost = 9 points of damage. Defense works similarly to strength. A pet's defense boost is a multiplier for the defensive icons that a pet's weapons have. Defense is converted to a defense boost on the same scale as strength. However, defense damage is a little harder to calculate because it depends on the damage received, as well as the type of damage received, that is, the icon types that your opponent uses to attack your pet. Your total damage received can't be negative, so if this formula results in a negative number, the damage you receive will be 0. To really understand how this works, let's look at an example. Assume that you have a Scarab Ring, which defends against 3 fire and 3 physical icons, and your opponent attacks you with a Ridiculously Heavy Battle Hammer, which attacks with 3 air, 3 earth, and 3 physical icons. Let's say your pet has 10 defense, your opponent has 20 strength. Now, your weapon does not defend against air or earth icons, so your pet will take the full force of that damage, which for each icon type is 3 icons x 1.25 boost = 3.75 damage, which rounds up to 4. For fire, your opponent has not attacked with fire icons, so the formula is (0 icons received x 1.25 boost) – (3 icons defended x 0.75 boost) = -2.25, but the damage you receive can't be negative, so this comes to 0. Finally, for physical icons, your opponent has attacked with 3 icons and you are defending against 3 icons, but because your boosts aren't equal, they won't cancel each other out. The physical damage you receive will be (3 icons received x 1.25 boost) – (3 icons defended x 0.75 boost) = 3.75 – 2.25 = 1.5, which rounds up to 2. So, the total damage you receive on this turn will be 4 air + 4 earth + 0 fire + 2 physical = 10 damage. I hope your pet has more HP than that! As you can see, stats play a role in determining how much damage your pet inflicts on their opponent or receives from their opponent. If you want to increase the damage your pet inflicts, you need to increase one of the two factors that determine it: the number of attack icons from your weapons or your pet's strength boost. Similarly, if you want to decrease the damage that your pet receives, you can either increase the number of defense icons from your weapons or your pet's defense boost. Most people spend their NP on upgrading their weapons to weapons that have more icons. However, it's just as effective, and in many cases more effective, to increase your stats instead. Consider this: a pet with 50 strength and a Super Attack Pea can do a maximum of 32 icons x 1.5 strength boost = 48 damage, while a pet with 400 strength can do more damage with a Scarab Ring, since 6 icons x 8.5 strength boost = 51 damage. While it might take you a long time and a lot of NP to get that much strength, it's probably faster and cheaper than saving up for a Super Attack Pea! Let's look at an example. You're brand new to the Battledome and just starting out. Let's say you have a pet who is Level 30, has 60 HP, 35 strength, and 25 defense. This is a beginning battler's pet. This pet has a strength boost of 1.5 and a defense boost of 1.25. Now, say that you have 5 million NPs to spend. What do you spend it on: weapons or training? This set will cost 4,970,000 NP at these prices. While this set does not contain a bomb, you can use the extra 30,000 NP to buy some single use, 15-icon muffins like Water Muffin or Smelly Dung Muffin, both of which can be bought for around 50 NP. Now, this pet has some strong weapons. Dr Sloths Personal Bath Buddy attacks with 14 icons, and Altador Cup Throwing Star attacks with 13 icons. Thus, the maximum about of damage that this pet can inflict on an average turn is (14 icons + 13 icons) x 1.5 = 40.5 damage, which rounds up to 41 damage. In addition, this pet has some good defenses. Sophies Magic Hat defends against 5 earth, 3 fire, 3 dark, and 3 physical icons. The maximum amount of earth damage that this pet can defend against is 5 icons x 1.25 boost = 6.25 earth damage, which rounds to 6. Similarly, the maximum amount of fire, physical, or dark damage is 3 icons x 1.25 boost = 3.75 damage. This bare-bones set will cost 88,025 NP. To make this fair, let's say you leave an extra 30,000 NP to buy one-use 15-icon muffins. So you're left with 4,881,975 NP to train. At the time of writing this, codestones cost around 5,200 NP on average, so let's assume you can buy each codestone for 5,500 NP. With the NP you have, you can buy 887 codestones. You train strength, HP, defense, and level, since these stats all make a difference in the Battledome, and level is necessary in order to keep training our pets. You also make sure that you train your pet's HP to 3 times the level – it's much more economical. So, your pet can train at the Mystery Island Training School. At the Basic level, you can train Level up to 40, strength and defense up to 80 each, and HP up to 120. This means you spend (10 levels + 45 strength + 55 defense + 60 HP) * 2 codestones = 340 codestones. Thus, you have 547 codestones left to spend, which you can do at the Intermediate level, where you can train 23 levels, 45 strength, 45 defense, and 69 HP, for a total of(23 levels + 45 strength + 45 defense + 69 HP) * 3 codestones = 546 codestones. (Notice how once you hit the new boost, you stopped training that stat because it wouldn't make a difference in the Battledome until you hit the next boost, so in order to get the most out of your NP, you put codestones into HP instead.) Now, your pet is Level 63 with 189 HP, 125 strength, and 125 defense, so your pet's strength and defense boost is 3. With these weapons, this pet can attack with his Ridiculously Heavy Battle Hammer for 9 icons and his Snowager Sword for 8 icons. Therefore, the maximum amount of damage this pet can inflict on an average turn is (9 icons + 8 icons) x 3 = 51 damage, which is more than if you had bought the strong weapons in Case #1. Notice that this pet also has 189 HP, versus the other pet's 60 HP. Not only can this pet inflict more damage, but he can take more damage from an opponent, meaning he can take on some harder opponents. In addition, this pet has increased his defense boost. He can use his Leaf Shield to defend against 5 earth, 5 water, and 3 physical icons. With a defense boost of 3, this pet can defend against a maximum of 15 earth damage, 15 water damage, and 9 physical damage. Even though this shield was less expensive and defends with fewer icons, this pet is better defended against earth, water and physical than the pet in Case #1. What if you already have a decent battle set and a battle pet? "I'm saving up for a Ghostkerbomb," many intermediate battlers say. But what if instead of saving for that one awe-inspiring weapon, these battlers trained their pets instead? Let's say you have the battle set from Case #1 with the battle pet from Case #2, but you want to do more damage. A Ghostkerbomb would mean a lot in your set, right? Ghostkerbombs cost about 7.15 million NP and inflict on average 25.5 icons. With a pet with a strength boost of 3, that means 77 damage against your opponent. That's a lot of damage! However, with your strong constant of Dr Sloths Personal Bath Buddy, you can do 77 damage against an opponent if you have a strength boost of 5.5, which means your pet needs at least 250 strength. You have to gain 125 strength points – along with 63 levels, to make sure your pet is still trainable. But, you can train 17 levels and 35 strength points at 3 codestones per stat, and then train 20 levels and 40 strength at 4 codestones per stat, and then train 25 levels and 50 strength at 5 codestones per stat. This is a total of (17 levels + 35 strength) x 2 codestones + (20 levels + 40 strength) x 3 codestones + (25 levels + 50 strength) x 5 codestones = 104 + 180 + 375 = 659 codestones. At 5,500 NP per codestone, you're paying a total of 3,624,500 NP. That's just over half of the cost of a Ghostkerbomb. Plus, you can use your Bath Buddy every turn, not just once per battle. And if you attack with another weapon on the same turn, its damage is also increased, which would not be the case if you had simply upgraded to a Ghostkerbomb. Once again, spending your NP training is more cost-effective than buying strong weapons. What if I can't train? There are some pets who are untrainable - that means their level is less than half of their highest stat. The Neopian training schools will let these pets train only level until their level is at least half of their highest stat, and then they can start training HP, strength, or defense. 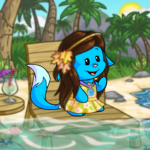 These pets may have had their stats increased by the Lab Ray, faerie quests, or other methods, but continuing to increase their stats is still just as important. There are several items around Neopia that offer stat increases with no requirements. Examples include Armoured Neggs, which give 1 point of defense; Neovian Strength Potions, which give 4 points of strength; or Faerie Queen Neggs, which adds 1 to a pet's max HP. These items tend to be very expensive, but depending on how untrainable a pet is, they may actually be cheaper than training all those levels. If you have a pet like this, your calculations for the cost-effectiveness of training will be different. However, in many cases, training is still beneficial. Let's say you have a pet who is Level 50 with 155 strength, 8 defense, and 500 HP, and a weapon that attacks with 10 icons. (This was my situation when I first realized the importance of training!) In order to train, this pet has to increase their level from 50 to 250. This will take 30 levels at 3 codestones each, 20 levels at 4 codestones each, 20 levels at 5 codestones each, and 30 levels at 6 codestones each for a total of 450 codestones, or about 2,475,000 NP - without even influencing the pet's performance in the Battledome. Alternatively, you could simply use a stat-increasing item to increase your pet's stats. Neovian Strength Potions and Altador Strength Potions are two of the best value stat-increasers, giving +4 and +5 strength points, respectively. Altador Strength Potions are selling for about 450,000 NP on the Trading Post. If you were to spend 4,050,000 NP on Altador Strength Potions, you could get 9 potions, which would give 45 strength points. 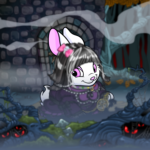 This pet's strength would then be 200, which has a boost of 4.5, so the maximum amount of damage she could inflict is 10 icons x 4.5 boost = 45 damage. Now, that's all well and good, but is it better than upgrading weapons? Let's see. In order to attack with 45 damage at 155 strength, a pet will need a weapon that attacks with 15 icons, so they can have 15 icons x 3 boost = 45 damage. The weapons that attack with at least 15 icons, such as Skarls Hasty Mace, Werelupe Claw Necklace, Glittery Faerie Dust, or the anagram swords all cost upwards of 7 million NP - which is more than 4.05 million. Plus, again, you would just be improving your damage on that single weapon, not all weapons. Therefore, even though item training can be expensive, in many cases it's still more cost-effective than upgrading weapons. So, what does this mean to you? Should you sell all of your weapons, buy the cheapest ones you can find, and put the NP into training? Well, you could do that if you want to, but it is nice to have strong weapons. Just make sure that your stats are reasonably high as well. And when you're trying to decide whether you should upgrade your weapons or go for the next strength boost, use the math from these examples to analyze the benefit. Which would allow you to do more damage: spending millions of NP on a weapon, or spending millions of NP to train your pet? I'd bet it's the latter. Happy training! For years Neopians everywhere have claimed a certain world doesn't exist. I can't write comments until 12:45! How is there no more free Jelly? Pharazon's ears drooped as he looked up at the enormous stack of parchment that had been set in front of him with a hefty whumph!